What do people love eating in Serbia? It's not such a hard question, wouldn't you agree? Serbian people enjoy food and there are enough fans for various cuisines, such as Italian, Chinese, Mexican, French… But of course, national Serbian dishes top the list of favourite dishes prepared in an average Serbian kitchen. I can give you a recipe for making some very popular food which also does not take much of your time. It is a well known hamburger or as we call it, pljeskavica, and a chocolate cake as a dessert. For a burger, you should put the bread slices or rolls in the oven or a microwave to heat. They shouldn't be very dry so it's good to heat them together with the grilling meat to absorb some of the meat juice. 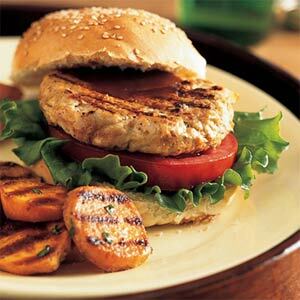 A burger is prepared from minced meat and spices like dried vegetables, pepper and salt. You may grill it or fry it in a pan. You can also prepare the fresh vegetables if you want to make a big hamburger that resembles a famous Big Mac. In that case you should slice some tomatoes and wash the lettuce. A next step is to open the hot bread rolls and place the burger first and then some vegetables or some ketchup on it. You can sometimes add cheese if you like. And your fast food is ready! For a chocolate cake you need a big mixing bowl and a wooden spoon. And you mustn't forget to put the oven on to heat. You can also warm the butter because it will be easier then to mix it with sugar and make a nice creamy mixture. Next, you should add some flour and eggs but you mustn't put the eggs all in at the same time. This needs to be done gradually and quite gently so that the mixture gets nice and smooth. You can add a bit of milk, too. When you melt the chocolate, then you may pour it into the cake mixture and you should also fold it in with a spoon. The last thing is to pour the mixture into the tin, which is normally already oiled. It is baked for about thirty minutes, after which you should take it out of the tin and cut in two. Oh, and the filling is also essential. But that is left up to your cooking imagination to make it. Just don't forget to use chocolate as a main ingredient!